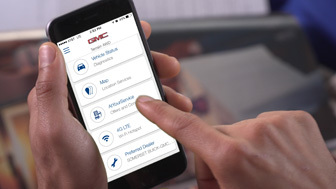 Owners of GM vehicles who have OnStar AtYourService are in for some good news: This multichannel platform, which provides users with money-saving offers, has officially signed on with Groupon and ExxonMobil as its newest partners, providing consumers even greater savings on an array of new products and services. In addition, even more useful functions will be added later in the year with RemoteLink and future vehicle owner apps, allowing users to utilize mobile ordering, mobile payments and fuel pump activations with participating AtYourService partners. With the addition of Groupon, new and exciting offers for places such as restaurants, salons, spas and retailers will be added to the platform, which are offered to users based on the phone’s location. Also new will be active Groupon promotions as a separate search category, which will help users find offers from local businesses. In addition, new fuel and convenience store offers will be incorporated by ExxonMobil beginning early this year. Just some of the companies with offers on AtYourService include Dunkin’ Donuts, Priceline.com, Parkopedia, RetailMeNot and Audiobooks.com. Just in the last quarter of 2015, AtYourService opened more than 130,000 money-saving offers. And, since its launch, more than 6,400 hotel reservations were made through a joint venture with Priceline.com. GM continues to provide more value for its owners and with their latest venture. For more information about OnStar, AtYourService and RemoteLink, visit http://www.onstar.com or stop by and let us explain more. This entry was posted in About, Camaros, Chevy Enthusiast's, Chevy Trucks, Chevy Volt, Consumer Reports, Corvettes, Events, Gm News and Updates, Green Pages, Jack Maxton News, Stingray, That's Hot!, Trendy Topics and tagged 2015, 2016, chevrolet, chevy, columbus, columbus ohio, consumer reports, Deals, ExxonMobil, general motors, GM, Groupon, jack maxton, jack maxton chevrolet, ohio, OnStar, Savings, Winter. Bookmark the permalink.